To generate excitement and help students tap into their memories, start with a class brainstorming session. Generate enough ideas so students have plenty of choices to make, allowing them to create their own unique memory books. After all there are some things students might not want to remember and this assignment will be more meaningful and authentic if it doesn’t resemble a recipe. Use the sample memory book for ideas to get started and then ask your students for their ideas. Once ideas have been generated, students can start by creating one interactive image at a time. At this point, they don’t have to worry about following any particular order. They will put the images in order when they assemble their channel. 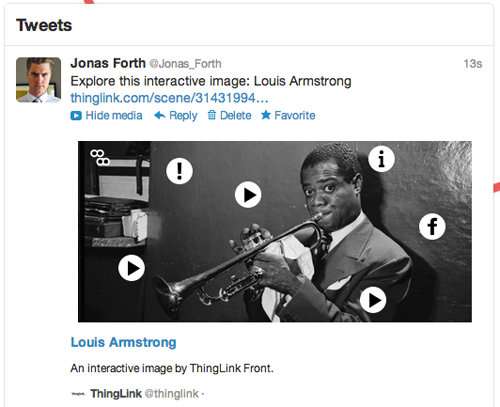 If you and your student are new to ThingLink, you should understand the order of creating original interactive images. There is one thing to note before you get started. If you want to include text headings on each page of the memory book, you must create the original image with a heading before you upload it to ThingLink. You can do this using a number of free and user friendly digital tools, so choose a tool that you and your students are already comfortable with. Create a PowerPoint, Keynote or Google Docs Slide with a heading and an image. 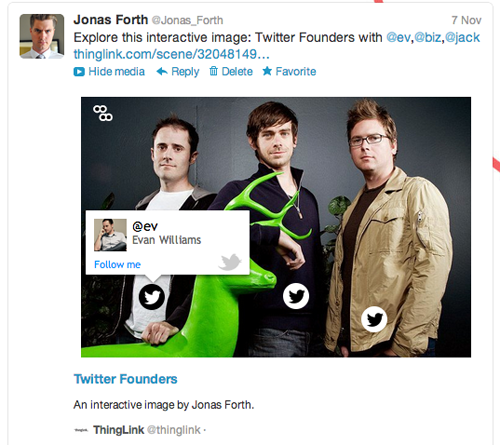 Take a screenshot of the slide and upload it to ThingLink. On a tablet, try Pages, Keynote, Educreations, or any app that allows you to add text to an image. 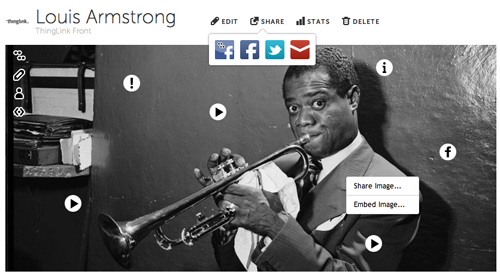 Take a snapshot and then upload it to ThingLink from your Photos. 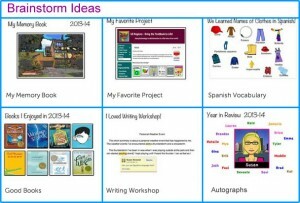 I really like the idea of Using ThingLink to create an interactive memory book because it allows students to share their thoughts and celebrate their accomplishments through multimedia in a way that meets their individual learning styles. In addition, since there are no materials needed to create the memory books, the playing field is leveled. All students have access to the resources available on the Internet, as long as we provide accommodations for those students who are not connected at home. Finally, since this flexible tool is online and available 24/7, students can put as much time and energy into the project as they see fit. There will be no erasure marks, it won’t get lost, rained on, crumpled or ruined, and students can continue to add to it their own memory book as time goes on, even after the final bell rings. Join me and ThingLink for a free, self-paced, online summer professional development opportunity designed to help teachers transform teaching and learning with ThingLink. 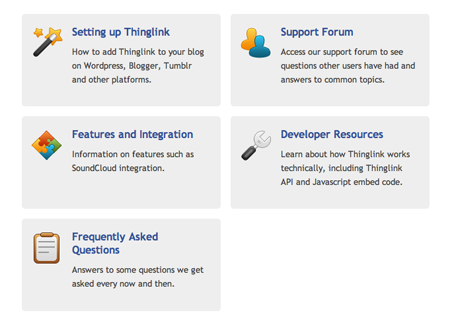 Sign up to receive news about the ThingLink Teacher Challenge this summer. 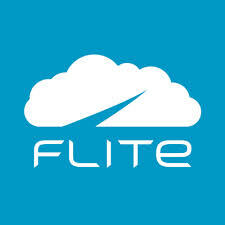 We will kick off weekly challenges beginning on June 9, 2014.